Our Outdoor Adventure program is birthed out of a heart for individuals to grow deeper in their walk with God. It seeks to meet the needs of individuals in the areas of discipleship, leadership, renewal, and fun. 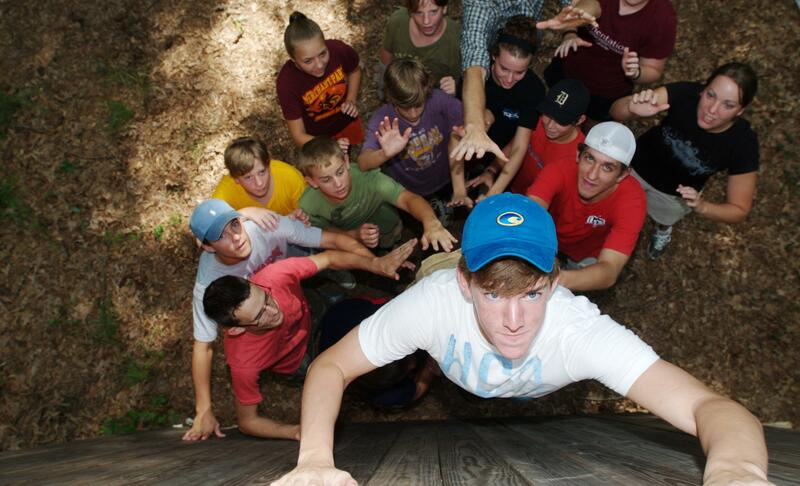 Our adventure entails beautiful hikes, team building activities, and adventure games. On our hikes we explore the beautiful Bienville National Forest area with towering trees, creeks, and amazing wildlife. This program invites participants to a deeper experience with God in the backdrop of His creation through three simple rhythms: solo time, adventure activities, and service. 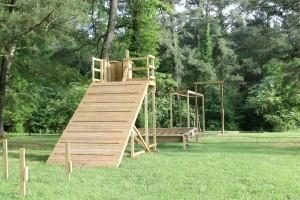 Timber Creek offers both an adventure experience and a recreation offering in our Outdoor programming. If you choose our Adventure track you will be led by an outstanding staff in team building and challenges. Our 14 low ropes elements will provide a unique opportunity to grow and learn. We also feature a dynamic 32′ tall climbing wall. Our wall is the only one of its kind in Mississippi. 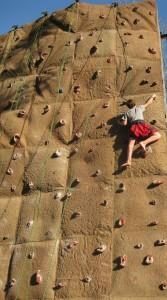 You will love the thrill of reaching the top and repelling down. We have also developed a fun and challenging Obstacle Course. Think Spartan run meets camp!! With over 10 elements (and more on the way) you will surely have an incredible time!! Low Challenge Elements Include: Raging River, Spider Web, 12′ Wall challenge, Wild Woozy, Trust Fall, Whale Watch, Islands, Shark Attack, Sinking Ship, and more. If you choose our Recreation track you will enter a world of high energy adventure games. Timber Creek offers Outpost, Wells Fargo, Football Post, Capture the Flag Football, Human Fooseball, Trash Can Chaos, and many more. If you are looking for excitement then this is the place for you!!!! This is also an excellent opportunity for church staff’s to grow deeper in their relationships with each other. Take some time to get away from the demands of office life and see what God can do with your staff in the outdoors. Contact Greg Taylor at 601.536.9012 or ggnt1@yahoo.com.